While taking courses and attending college is important for a professional career, many students are unable to afford the tuition that a great deal of colleges require. College tuition and fees for books and services have increased substantially in recent years. With the added repercussions of a weak economy, many students are opting to find jobs and disregard college. The good news is that many schools and programs in Massachusetts offer scholarships and grants to help offset the expensive costs of tuition. 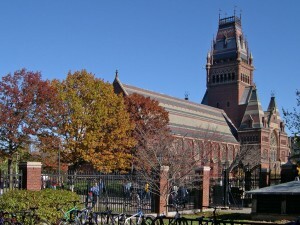 The state of Massachusetts has various colleges and universities to choose from. For Massachusetts students who are deciding on a school to attend, there are several options available that will provide levels of education from an Associate’s Degree to a Doctorate. Students should decide on their intended major of study or speak with a counselor to plan what classes they should take. They should then speak with advisors at the school they intend to enroll in for options about financial aid. Virtually every school in the state of Massachusetts has a financial aid office that can give students options for paying tuition. When applying for financial aid, a student should file the Free Application for Federal Student Aid (FAFSA) as a first step. The FAFSA is a federal program that is employed at most schools. This program shows the school the amount of financial need for enrolled students and can then connect them with available scholarships, grants, and loans they may be eligible for. When considering financial aid, the FAFSA is an essential beginning course of action. There are several ways that students can gain financial aid to pay for some of their tuition. Scholarships are types of awards that are given to students who qualify. Many scholarships are donated funds from a memorial or are given as a way to honor a specific person or program. Scholarships usually have requirements of students in order to determine who to give the award to. Some examples of requirements are proven financial need, high school or college grade point average, levels of participation in community events, or cultural heritage. Many schools offer large scholarships, but will have resources to find multiple private scholarships as well. 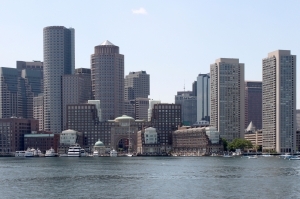 Massachusetts offers a university system consisting of five locations, as well as various state and private colleges. The state also has numerous community colleges as an option for a college education. The University of Massachusetts system has locations in Amherst, Boston, Dartmouth, Lowell, and Worcester. The system has options for financial aid that can be given to both students and parents. A search of the financial aid division will reveal available scholarships for students that are found at the various campuses. The Harry Allen Memorial Scholarship is an award of $1,000 given to students that are enrolled in the Isenberg School of Management at the Amherst campus location. Harry Allen was previously the dean of the School of Management and this scholarship is in his memory. The award is based on financial need for students who work hard toward their educational goals. The Alumni Association Scholarship Award is granted to an undergraduate student at the Boston campus. This $500 award is given to a student who shows outstanding personal service. Two letters of recommendation are required. The Ayuko Ito Scholarship Fund offers one scholarship of $1,000 for an undergraduate student at Dartmouth who attends school full time and maintains a minimum 2.0 grade point average. The Dean’s Award is given to an incoming freshman student at the Lowell campus. Interested students should apply through the office of financial aid by the appropriate deadline. The award is merit based and totals $4,000. The Janet N. Phipard Endowment is a merit-based scholarship available for students who attend college at the University of Massachusetts in Dartmouth. The award pays $2,800 and one scholarship is available for a qualifying student. The University of Massachusetts offers hundreds of other scholarships that can be searched on their website. Interested students should file a FAFSA and apply for scholarships they may be eligible for. The office of financial aid at each campus has available advisors who can help determine eligibility. Mount Holyoke College is an established private liberal arts college that only admits female students. Founded in 1837, this top college has 2,200 students yearly with 49 different departmental majors, and is located in South Hadley, Massachusetts. The financial aid office of the school requires students to file a FAFSA as well as an additional financial aid profile to determine eligibility for assistance. The school has several private scholarships available, as well as resources for various scholarships that are specific to educational majors. Information about the financial aid process for Mount Holyoke College can be found at via their website. Tufts University provides higher education and prides itself on graduating students who become leaders. The school has three locations in Massachusetts: Medford/Somerville, Boston, and Grafton. It is very important to the school that all students who enroll should be able to afford an education. The school offers most of its scholarships based on financial need. There are numerous scholarships available from private donors that are awarded for specific areas of study, from Anthropology to Sociology. The school offers application materials for academic awards that are based on areas of service, grade point average, or ethnic background. Interested students should contact Tufts University or visit Tufts Online. Bentley University, located in Waltham, Massachusetts is one the highest ranked schools of business in the nation. The school offers various programs in the areas of business for those students who would like to study these educational majors. Bentley University has specific scholarships available that are based on financial need, leadership, or athletic ability. The Bentley Dean’s Award is given to an eligible student for tuition reimbursement. Bentley also offers various outside scholarship opportunities for interested students. Prospective undergraduates and graduate students may visit Bentley’s website for more information. Merrimack College, located in North Andover, Massachusetts, is an independent liberal arts college. The school offers various undergraduate programs as well as adult education program for non-traditional students. The school is committed to making education affordable for students who attend. The Talbot’s Scholarship Foundation awards 10 $15,000 scholarships to female undergraduate students who qualify. The BigSun Organization offers a $500 scholarship to qualifying students who show academic excellence and are involved with athletic activities. The Abbott and Fenner Scholarship is given to an eligible student who submits an essay about a specific topic as part of the application process. The award grants $1,000 to the winning student. Merrimack College also offers various other resources for scholarships and financial aid. Students that are interested in applying should contact Merrimack online for more information. Wheaton College is located in Norton, Massachusetts and offers 40 academic majors of study. The school prides itself on academic excellence as well as recreational programs and events to involve students in all aspects of college life. Wheaton College offers financial aid in the forms of scholarships and grants. Wheaton is proud of its academic scholars and provides advisement about various graduate fellowships, outside scholarships, and other sources of funding. Their website at wheaton.edu offers more information for prospective students. Many students choose to take classes at a community college rather than a four-year university. Community colleges offer Associate’s Degrees and certificates that will provide a practical education that prepares students for the job market. Massachusetts has several community colleges available. Berkshire Community College, located in Pittsfield, Massachusetts, is proud of their educational program and offers several areas of study for prospective students. They also have the option of distance learning for those who are unable to attend classes. The office of financial aid at Berkshire Community College requests that students file a FAFSA before beginning the process of financial aid. They can then connect with available scholarships for eligible students. Interested parties should visit Berkley’s website for more information. Bristol Community College has four locations in Massachusetts: Taunton, Attleboro, Fall River, and New Bedford. Bristol College offers various programs of study for an Associate’s Degree or certificate. The school also has a program to help students prepare to transfer to a four-year university by completing some of their fundamental courses at Bristol. The school offers various scholarships for qualifying students who are planning to transfer to a university. Bridgewater State College Presidential Scholarship pays full tuition and fees for four semesters in addition to two $1,000 scholarships. Students must maintain a 3.5 grade point average and plan to enroll in Bridgewater State College after attending Bristol. The New England Transfer Association offers a $1,000 scholarship for a student who has a 3.5 grade point average, and who plans to receive an Associate’s Degree and then continue to an accredited New England four-year university. Bristol also offers foundation scholarships for Associate’s Degree students who are not planning to transfer. The value of the awards ranges from $200 to $2,000. Students should contact Bristol College at BristonCC.Edu for additional information. North Shore Community College, located in Danvers, Massachusetts, has a variety of programs for students of all backgrounds. The school offers Associate’s Degrees and certificates, as well as adult education for non-traditional students, English as a Second Language courses, and online programs. The office of financial aid provides students with counseling and advice about current scholarships that are available. The North Shore Community College Presidential Scholarship is a $1,000 award provided to incoming students. Eligible students must have a high school grade point average of 2.8 or above, two letters of recommendation, and must submit a personal essay. The North Shore Community College Foundation awards scholarships to students of any academic level. The amount of assistance is based on demonstrated financial need as well as academic factors. North Shore Community College offers an affordable education for students. Those that wish to learn more about the financial aid packages that are available should contact North Shore via their website. The schools listed are only a small portion of the available educational possibilities for students in the state of Massachusetts, and there are a multitude of scholarships available. Each school can connect students with possibilities for scholarships and their applications. In addition to scholarships for tuition payment, there is also the option of grants for qualified students. Grants are set amounts of money that are given to students after applying and demonstrating certain requirements. Grant money does not need to be repaid and it is a valuable option for offsetting some of the costs of tuition and books. The state of Massachusetts offers various forms of grants for students to pay for college. The MASSGrant is a state funded program offered through the Massachusetts Department of Higher Education. The MASSGrant is awarded to full time college students who demonstrate financial need. The amount of the award varies depending on the number of semesters enrolled and the type of program the student is pursuing. The Massachusetts Educational Rewards Grant Program provides money for college for low-income workers to assist with attaining education that leads to a better job. The grants are awarded to those who have filed a FAFSA, who are enrolled in a degree or certificate program at least part time, and who meet income requirements classifying them as a low-income worker. The Massachusetts Cash Grant is granted to students to assist them with paying college fees that are due in addition to tuition. Program fees at many schools are very expensive and must be paid alongside the tuition payments. The Cash Grant covers the additional fees incurred for attending college. It is awarded to Massachusetts residents who are attending college and who demonstrate financial need. The Massachusetts Part-Time Grant is offered to students who are attending college on a part-time basis. These may be students who are adults returning to school from the workforce, or those who are unable to take classes full-time due to other expectations. The Part-Time Grant is awarded to students who demonstrate financial need and are enrolled in a program for at least six credit hours but less than twelve credit hours per semester. The Massachusetts Public Service Grant is awarded to a student that has lost a parent or spouse while serving in public service duty. The student must be enrolled full time and show continued academic progress through their college career. They must also show documentation of the condition or situation that took the life of their parent of spouse. The Massachusetts Gilbert Matching Student Grant is given to full time nursing students who maintain dependence on their parents to fulfill their college tuition. Students must be residents of Massachusetts and be enrolled in an eligible institution that provides education and training in the field of nursing. For those in Massachusetts who wish to attend college to obtain a degree, the cost of tuition, fees, and books can be overwhelming. Some students choose to forego college because of a lack of funding. Scholarships and grants are available to qualified students who wish to enroll in college. No student should be denied the opportunity to go to college due to financial need, and Massachusetts has a variety of programs that will assist people with paying for college. The money for college is available for those who are willing to find it. Hi dear,pls can some one apply for grants before applying for college because i don’t have they money to go to college and I’m all alone in united state,i don’t have no one to help me right now. i really want to go to college. i hope to hear from u. thanks Android God Blessed u.
Hello my name is Michael. I’m live in boston mass. I’m 26 years old. I’ve been focus on family and work for such a long time, that I never really had time to seat down and figure out what i wanted to do as a career, until a month ago. I’m a minimum wage hard working young man. I’ve been at the same dead end job for almost 11 years .I live on my own and i really need help financially .I wanted to take a business classes in either northeastern,north shore community collage, or University of Phoenix. So as much help as you can offer would be appreciated. Thank you for taken your time to read this. receive Social security and my financial and tuition is pretty much paid for. I have many more expenses eg: books which cost a lot of money…My chemistry book alone cost me $357.00 and I am doing other classes… printer cartridges are expenses. these expenses may seem trivial, but whilst on Social security every penny for me counts. I would appreciate any elp. I would like to got back to school ,hopeing to get a grant to do done so .